Brighten up your piercings with this green titanium ball blackline ball closure ring. This BCR has a green titanium ball with a gorgeous rich green colour. I first bought it to try for my left lobe. 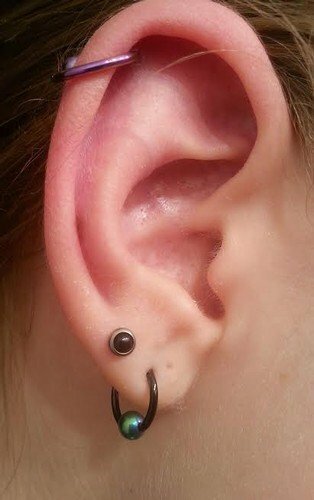 It was first tricky to put in, but as I loved it so much, I bought 2 others (for my right lobe and for a helix), and I found it way easier. The picture depicts quite well the true color, and I love that one so much ! I definitely would replace it. Light and look really pretty in my ears. Got 16mm diameter and they look really cute, small enough to be practical, big enough to get noticed. 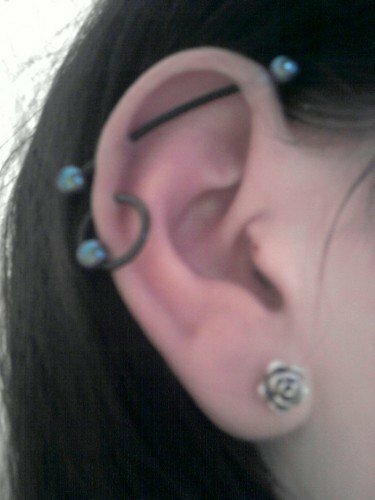 Definitely ordering another pair in 14/12mm for my second lobe piercings. Looks great when it is in and is really comfortable to wear. I wasn't sure what to get a dude who had his top ear done, this was perfect, i can't really put it down.